Office Partitions are a build-your-own system, whether you need to create one cubicle or an entire office. Each panel can easily be assembled together through use of steel connectors (sold separately) to form straight runs, 90 degree corners, 4 way cubicles and high-low panel configurations. This will allow you to personally design your offices based on your individual needs, leading to increased productivity and efficiency within your office. 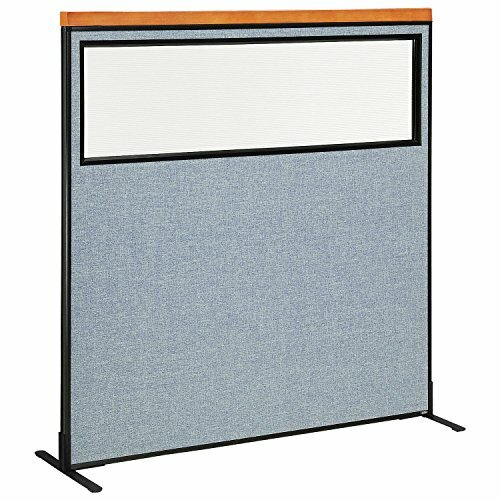 Panels come in blue or gray fabric options in varying widths and heights to meet your every need. If you have any questions about this product by Global Industrial, contact us by completing and submitting the form below. If you are looking for a specif part number, please include it with your message.